Creative drawing inspires creative writing! 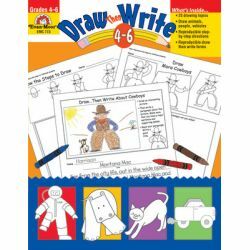 The simple drawing steps and fun topics in each book make even the most reluctant of writers excited to write stories. Multiple difficulty levels allow you to customize each topic's lesson to your students' needs. 96 pages.